Keep the progress payments coming in on your construction jobs with this Maryland Unconditional Waiver and Release of Lien form. 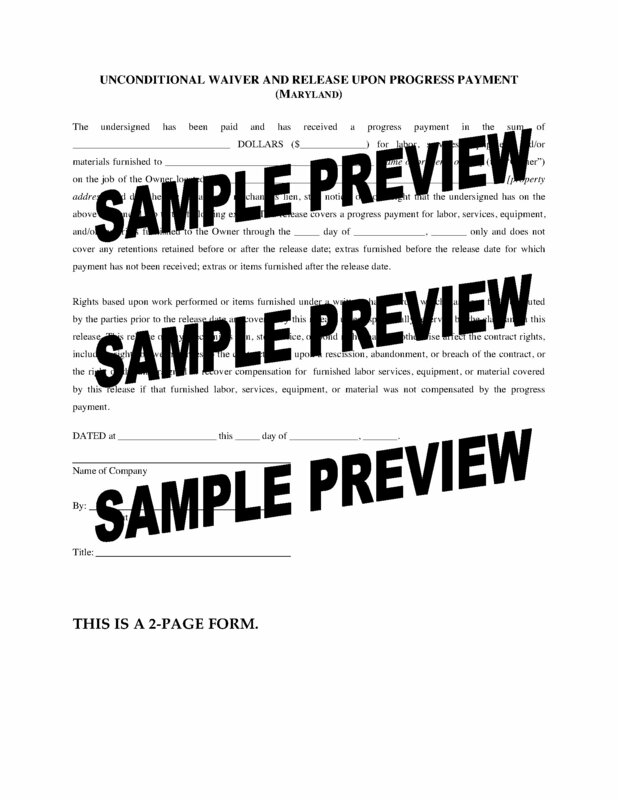 Contractors and suppliers can use the release form to waive and release their lien rights or claims for payment up to the date of each progress payment. The release is only effective if and when the payment has actually been received by the lienor. This is a downloadable and reusable digital template. 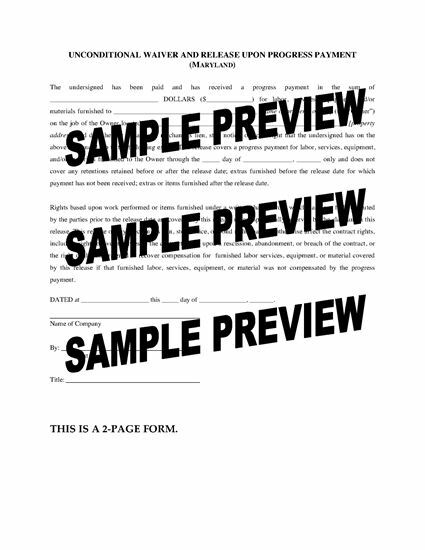 You don't need to keep paying for preprinted forms. You can purchase the Maryland Unconditional Waiver and Release form by adding it to your shopping cart and checking out.